The son of Essendon skipper Ken Fraser, Mark hailed from Montmorency and starred in his first year but slipped slightly in the second. He then opted to move and placed a big price-tag on his head. Essendon was happy to recruit him specifically for a role as a fast winger on the MCG but he did not sustain a senior place, aside from an impressive 1999 campaign when he was a member of the Bombers’ Preliminary Final loss to Carlton. 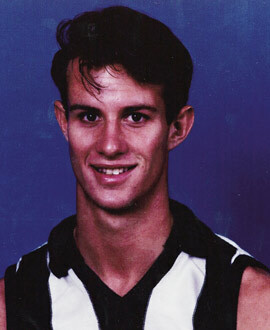 After leaving the AFL scene in 2000, he joined the umpiring ranks.